Are You Ready to Have Fun at Flint Iceland Arenas? Bring your family and friends to enjoy ice skating and turf sports! It's time to get moving at the Flint Iceland Arenas, your all-in-one entertainment and sports center in Flint, MI. Come and enjoy a variety of activities at our great ice skating rink, outdoor and upcoming indoor turf fields! Our arena is the perfect place for an hanging out, learning and playing with your family and friends. 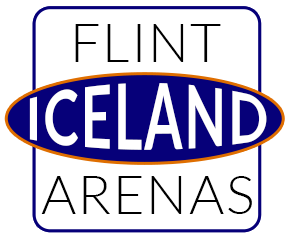 The Flint Iceland Arena has been a staple part of the community for a very long time, and we are always committed to providing this great city with an amazing center that houses fun activities and friendship. Come down and get your skate on at the Flint Iceland Center! We offer open skate for families looking to get out on the ice. Bring the crew down during the middle of the summer for a cool new activity, or in the middle of winter for a nice spirited outing! Not only do we offer residents a wonderful place to skate at our ice skating rink in Flint, MI, we also offer ice/figure skating classes and exciting youth hockey programs for your children to take advantage of. If you're looking for a place to hold your next big event, you can reserve your own ice rink for private skating, birthday parties, group events, whatever the occasion! All you have to do is "break the ice" with the staff at Flint Iceland Center, and talk to one of our staff members today! Our indoor turf field in Flint, MI, is the perfect spot if you're looking for organized lacrosse, baseball, softball and soccer teams and events. We will also have drop-in times for pick-up games. Soon, you will be able to enjoy a new indoor soccer field, too! Great things are happening at the Flint Iceland Arena. Won't you come and join in on the fun? Copyright © 2019 Flint Iceland Arena, all rights reserved.